Terrace, dining room, kitchen, 3 bedrooms and 3 shower rooms. To the beach: 250 mts. To the supermarket: 250 mts. In area to Sant Roc in Calella. Orientation: East. Seaview, beach view, village view and swimming pool view. Dining room, television, access to the terrace, sea view and air conditionning and heating unit. Kitchen with gas hobb, oven, microwave, fridge freezer, dishwasher, washing machine, sea view and iron. Bedroom with 1 double bed, access to the terrace, sea view, safe and shower room (en suite). Bedroom with twin beds and shower room (en suite). Central heating, dryer, iron, satelite TV, vacum cleaner, capsule coffee machine, toaster, air conditionning in the dining room and re enforced door. Community garden, community play ground, community swimming pool, terrace furniture, community table tennis and caretaker. Garage for one car and 1 exterior parking space. Bed linen, towels, blankets and bedspreads. 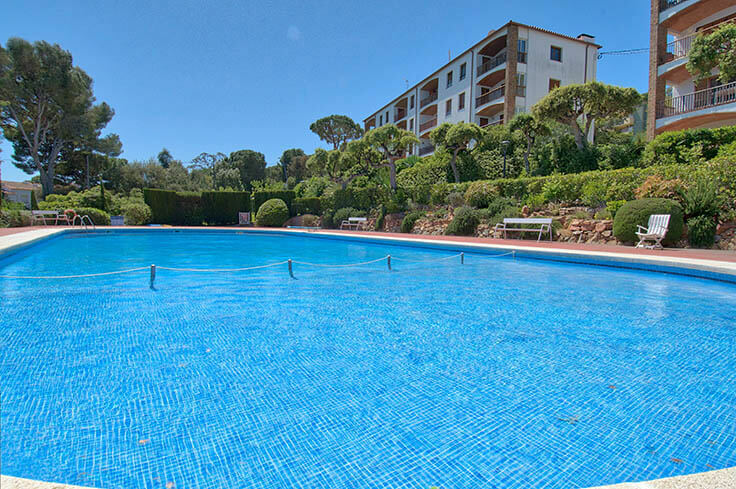 Quality finishes, impeccable condition, recently refurbished, good location and spectacular views.
" Very quick to respond in a positive way to requests"
" spacious, well fitted and kitted out. Comfy sofas and quality appliances. Great views and a lovely swimming pool." " Very good, very friendly and helpful. would always recommend you to friends and family." " Ubicacio perfecte Totalment reformat Repetirem"
" Atencio perfecte ala clients. Ho recomano 100%"
" Très fonctionnel et joli"
" The view is magnificent, better location not possible. Even end of April we could swim in the heated pool! Good quality beds and very complete apartment! OK 1 point then, I miss a fruit juicer for fresh orange juice in the morning :) We will come back here for sure!" " Very good welcome, no problems at all"
" Beautyful flat with great view!" " Everything great, as always." " El vostre tracte sempre ha sigut bo, i fa anys que os recomanem als amics"
" We were absolutely delighted with our recent booking - the accommodation was magnificent and exactly as it is described on the website." " Excellentes prestations. Très agréable. 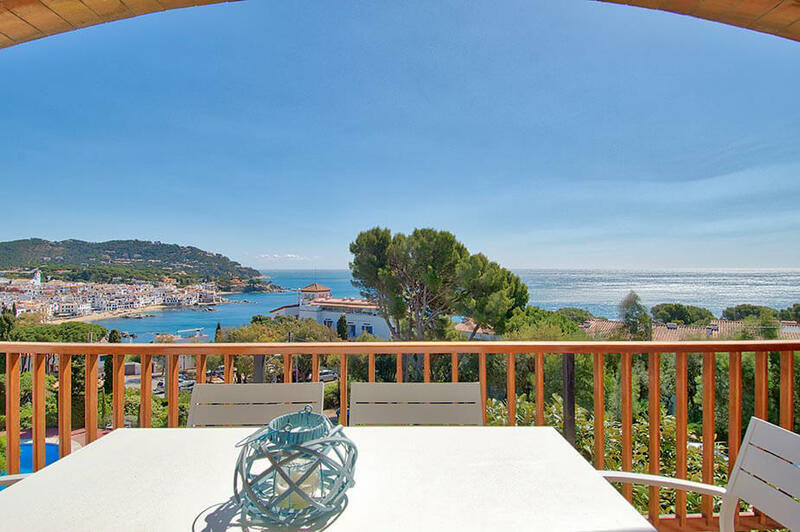 Un peu cher"
" Lovely, modern, clean apartment with great views." " Je suis très satisfaite du logement que je loue chaque année deux fois par an. La situation et la qualité du logement sont un atout"
" Clean, Quiet, spacious with wonderfull view!" " Com sempre Molt Be !!!" " We spent a wonderful week in a lovely appartment, fully equipped with high quality furniture and devices, quite freshly renovated in the best of taste, very aestetic"
" Well equipped apartment, very clean, great view, everything we needed was provided." " A beautifully presented apartment , view from the balcony was stunning. If I was to be really picky? Lack of rubbish bins in the bathrooms and the balcony furniture was maybe slightly to big for the space. Overall, fantastic!" " Tanto el trato como el servicio perfectos, como siempre. Por esto llevamos tantos años con vosotros." " The accomodation was very good, however there were small items missing, eg towel rails, toilet roll holders, bathroom shelving, garbage bins in both the kitchen & the bathrooms.Because the apartment had just been refitted, we assume these were builder oversights." " Very good ! Is it for sale ?" 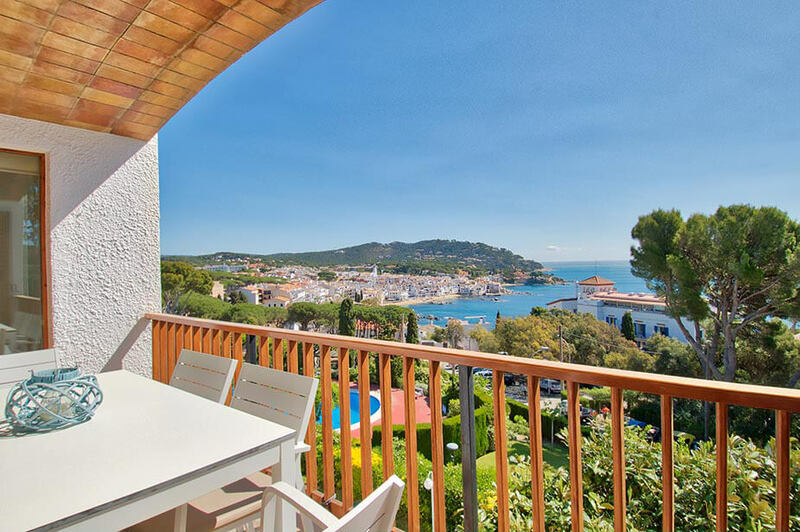 " Este verano hemos pasado una semana inolvidable, el apartamento fantastico con impresionantes vistas a Calella y el mar. Volveremos pronto." " Nos atendieron muy bien, todo ok."
" Everything was very good, great apartment. Centrally located, clean, large and exactly what we expected." " The service is excellent." Very good, very friendly and helpful. would always recommend you to friends and family.